Size of this preview: 800 × 590 pixels. Other resolutions: 320 × 236 pixels | 1,024 × 755 pixels. Foto di una serie di stilografiche della Eversharp. Modello: Deco Band. Caricamento a levetta. Realizzazione in celluloide. Serie dei colori più comuni. 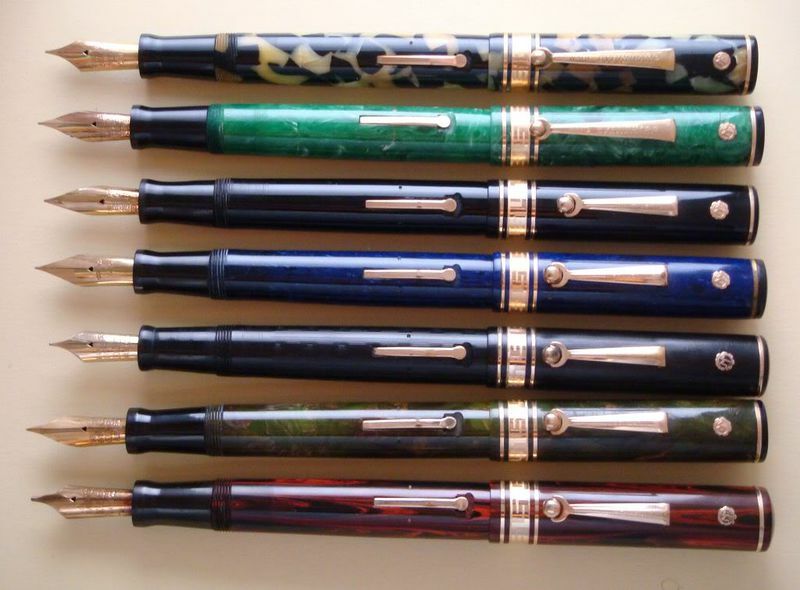 Contributo di Roberto Vetrugno (utente forum.fountainpen.it roberto v). Photo of a series of pens produced by Eversharp. Model: Deco Band. Filling system: lever filler. In celluloid. Series of the most common colors. This page was last edited on 13 October 2016, at 23:00.